If you’ve never taken the great British actor Chaplin seriously enough to sit and watch some of his work, you should do. As real world economic stability and the political status quo seem to crumble before our bleary eyes, sales of spades have apparently increased along with the price of gold. No, really. 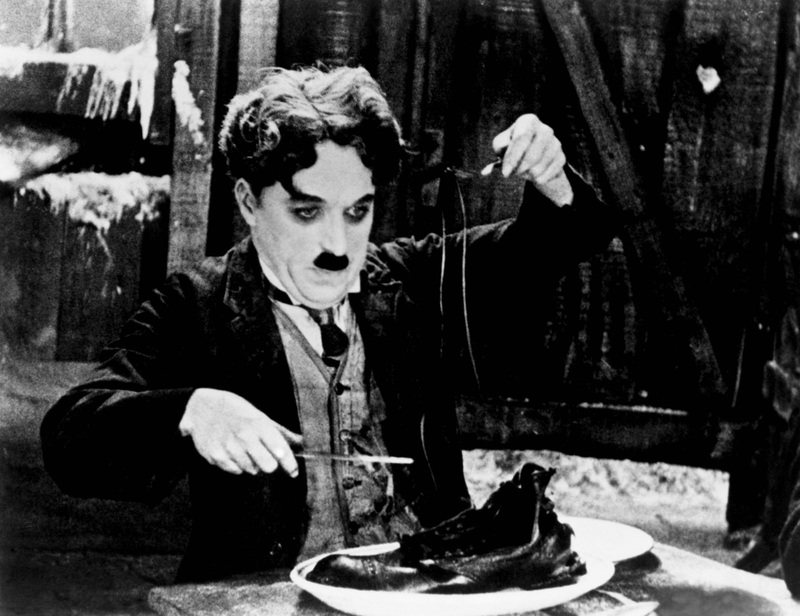 And so we’re reminded of the scene in The Gold Rush (1925) where Chaplin’s ‘tramp’ eats a boot in a desperate attempt to stave off hunger during the great depression. Well that told us. Chaplin’s simple, and unique brand of tragicomedy reaches across ‘divides’ in a way that real world politicians cannot, or dare not. It’s another reason, if more are needed, why we need the Beacon. But how in bally heck can the Hoylake Beacon – a £3 million + project – have a cat in hell’s chance of ever laying an inch of foundation now? Realisation is dawning upon regional leaders around the UK that the days of box-tick-friendly regional development funding are rapidly fading into distant memory. There seems little or no prospect of any significant future funding for any project – even job creation and economic development projects with a sure fire guaranteed likelihood of success. Those 30,000 jobs in this area, created by EU funding, are – one would hope – secure, and will create further jobs in time. And, as for the private funding we were hoping for, that too seems to have gone into hiding faster than the “tramp” disappears when a cop turns up. Crowns are made of gold for times like these! The image of HRH wandering down the corridors of Buck House with her corgies, quietly contemplating a rather reassuring £12 billion Crown Estates property portfolio, kindly managed for her by some awfully clever chaps in pin stripes and bowler hats, is a quaint, but ultimately false one. Sure, all that land and those rather nice highzes do belong to the sovereign but only “in right of the crown”. She most certainly can’t flog it orff or whack up the rent at will. Because The Crown Estate is in fact a commercial organisation, and a very successful one to boot, delivering a neat profit of £304.1 million in 2015/16 to the Treasury. Crikey. That’s not bad. Spade at the ready. Now those chaps in pin stripes aren’t ‘all about da baseline’. They do, it seems, have a heart. They recognise (who could not?) that British coastal towns have had a hard time of it since everyone started looking for someplace beginning with Costa for their R&R and lobster ‘tan’. But they also know we horizon lovers can be an entrepreneurial lot. From St Ives to Blackpool to Dismaland there’s something a bit mad in the air about the British coastal communities. We’ll be spending the next year preparing a world class bid, working out the numbers, the viability, bringing in partners, and ensuring this is a project that can demonstrate the creation of between 15 and 30 jobs for local people, increasing footfall, providing leisure and entertainment for all the community and increasing affordable housing provision. Talk about ticking boxes. Hang those boots up. We’re going to eat cake. And watch great films. Can’t wait to see if it comes to fruition.